The containership demolition market is set to rebound this year as owners weed out the oldest and dirtiest vessels from their fleets ahead of the IMO 2020 low-sulphur regulations. According to London shipbroker Braemar ACM, 10 container vessels have been scrapped so far in 2019, compared with just one ship at the same time a year ago, and a total of only 54 container vessels that were sent to the breakers yards in the full 12-month period. Higher charter hire rates in 2018, resulting from a strengthening in demand, persuaded owners to postpone their plans to recycle their ships and instead reactivate idled tonnage. This was no more evident than in the classic panamax segment of 4,000 – 5,300 teu ships that saw hire rates double to about $10,000 per day. However, with the market cooling by the year end, the most recent data from Alphaliner has recorded 20 panamax vessels at anchor seeking employment, with some 12 ships likely to join this redundant fleet within the next month as their charter parties expire. Indeed, a broker told The Loadstar this week that many of the enquiries he was now getting for longer-term fixtures were stipulating interest in either young fuel-efficient vessels, or ships that would have exhaust gas-cleaning systems (scrubbers) installed. From 1 January 2020 ships trading around the world will be required to consume fuel with a maximum sulphur content of 0.5%, or have a scrubber system installed that will refine the less expensive heavy fuel oil (HFO). Most analysts predict that the difference between HFO and LSFO will be in the region of $200 per ton. Assuming that scenario to be the case in January 2020, shipowners could in theory recoup the cost of their investment in scrubbers within a few years, depending on the size of ship and its trading pattern. But these same scrubber economics will not apply to elderly ships with asset values that are not significantly in excess of the cost of installing the onboard refining systems, which could be up to $10m a unit. It is therefore expected that non-operating owners of older tonnage will renew their interest in scrapping as the year progresses, thus providing a boost to the demolition market. And scrapping will also be on the agendas of ocean carriers as they brace themselves for IMO 2020. 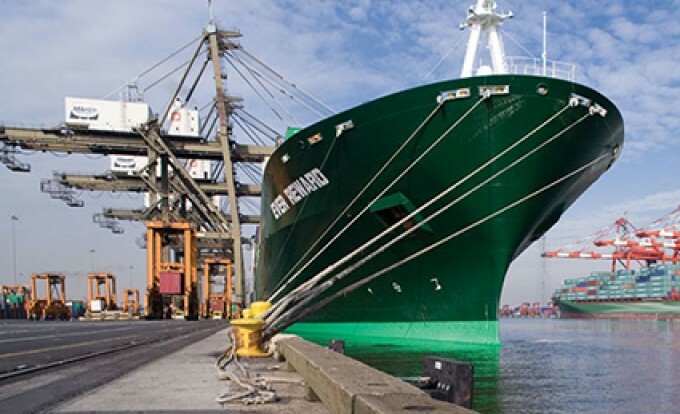 Evergreen, which has the largest orderbook in the sector, and is also one of the container lines that is favouring scrubbers, has recently sold the 5,364 teu Ever Ultra and 1,164 teu Ever Able for scrap and has two further 5,364 teu ships and another 1,164 teu vessel currently inviting offers in the demolition market. Prior to its sale vesselsvalue.com put the asset value of the 1996-built Ever Ultra on a par with its scrap value at $10.5m.